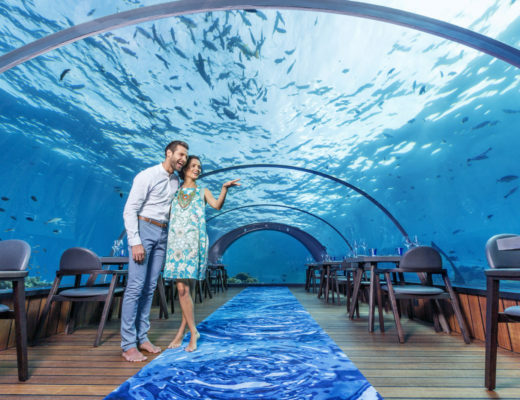 The Maldives, a tropical paradise of pristine beaches, is one of the most favored tourist destinations in the world with over 1,192 coral Islands grouped into 26 coral atolls in the Indian Ocean. According to archaeological evidence, the Maldives Islands have been inhabited for more than 3,000 years, with a history of Hinduism and Buddhism before the country embraced Islam in 1153 AD. The first settlers are believed to be Tamil and Sinhalese peoples from southern India and Sri Lanka, as well as Traders from Arab and African Countries. 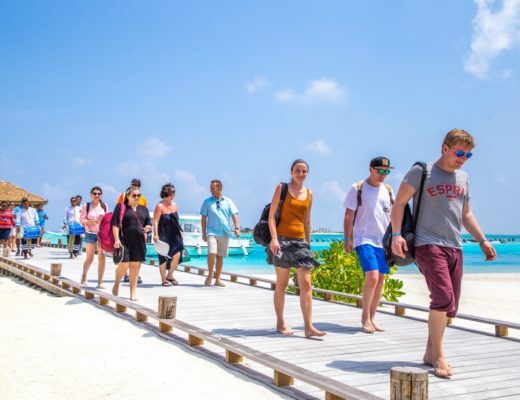 Tourism only began in 1972, after the opening of the first tourist Resort in the Maldives. 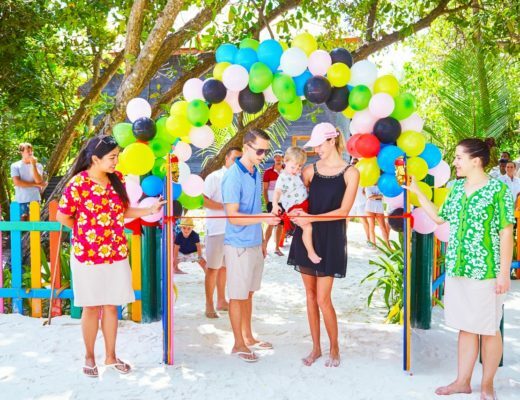 Thanks to the Travel & Tourism pioneers, the Industry only continued to grow with Kuredu Island Resort & Spa being the first Resort built in the Lhaviyani Atoll in 1988, which paved the way for other Resorts such as Komandoo Island Resort & Spa, and recently opened 5-Star Hurawalhi Island Resort within the same Atoll. 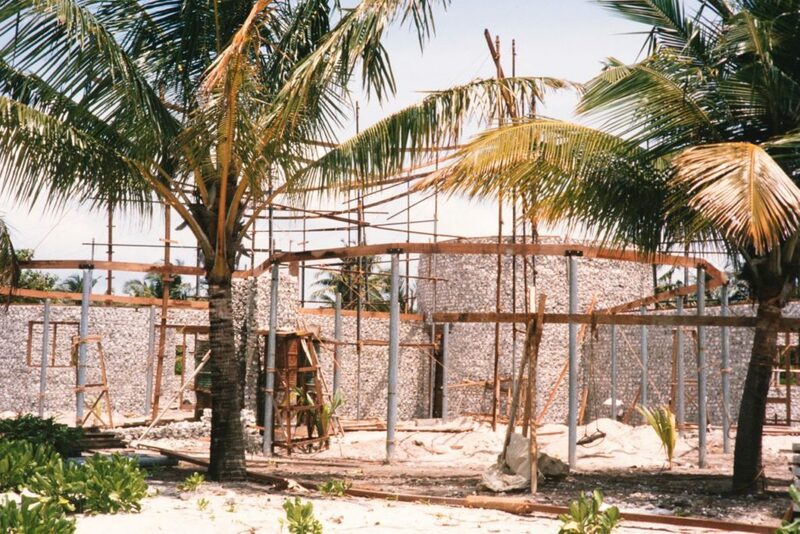 Kuredu Island Resort & Spa during development in 1988. With influences from Sanskrit, Sinhalese and Arabic, Dhivehi has its own script called Thaana that displays both an Abugida and a true alphabet principle. There are three major dialects spoken by local Maldivians, including Malikhu or Mahl spoken by the islanders of neighboring Minicoy Island. The natural abundance of coconut palms, Tuna and Reef Fish, and the unique mixture of curries and spices from initial settlers influence main Maldivian Traditional dishes enjoyed to this day. Combinations of these main ingredients are still found in various dishes, such as Tuna Bajiya (Fish-based), Garudhiya (fish soup) and Huni Roshi (Coconut-based Flatbread). 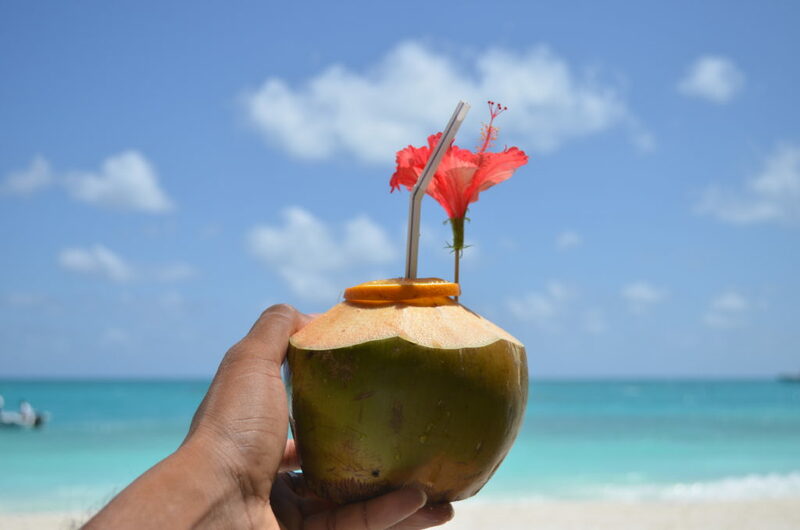 Coconut Juice or Kurumba is the most popular refreshing beverage of the Maldives, which is also served to tourists and guests at Resorts such as Veligandu Island Resort & Spa in traditional Maldivian style. Men traditionally wear sarongs wrapped around the waist with a long sleeved shirt, which is invariably white. Cotton is the preferred fabric due to the island’s tropical weather. Women traditionally wear what is called libaas, which resembles a dress typically worn during special occasions, festivals and during dance performances such as Weddings or Cultural Bodu Beru performances. 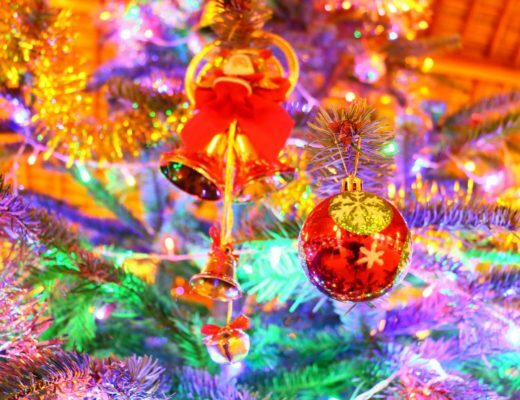 They are usually adorned with gold or silver colored threads, and the best ones are hand stitched. 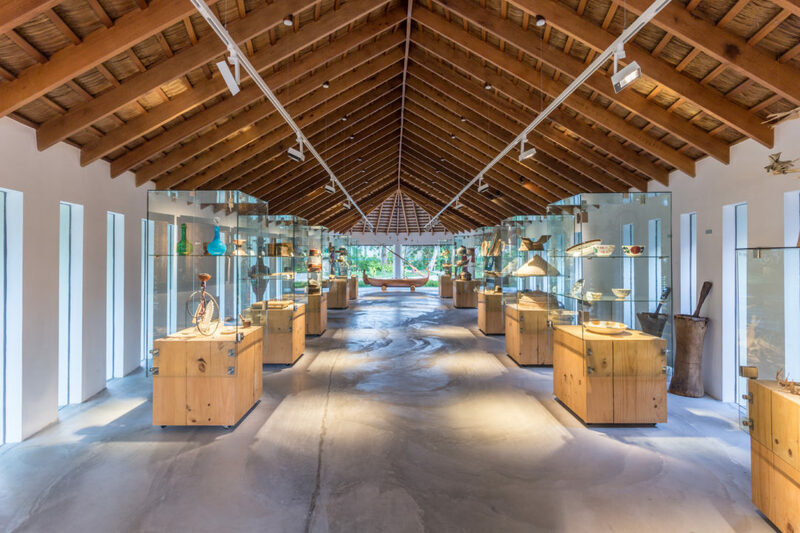 Museums, such as Meeru Museum exhibit several Maldivian artifacts, from traditional wooden boxes used as travel storage (lakudi foshi), to wooden Maldivian sandals worn until the early 1980s (ujjehi maravalhhi). Because of the various influences, several religious monuments and temple ruins can be found throughout the local Islands, across the atolls. 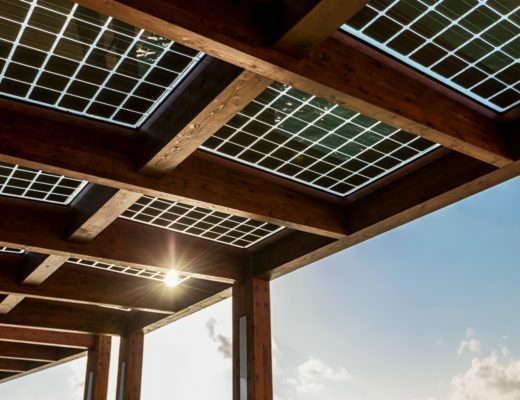 As small as copper plates and scrolls with details of historical livelihoods, to as large and noticeable as the mosques, temples and coral walls. 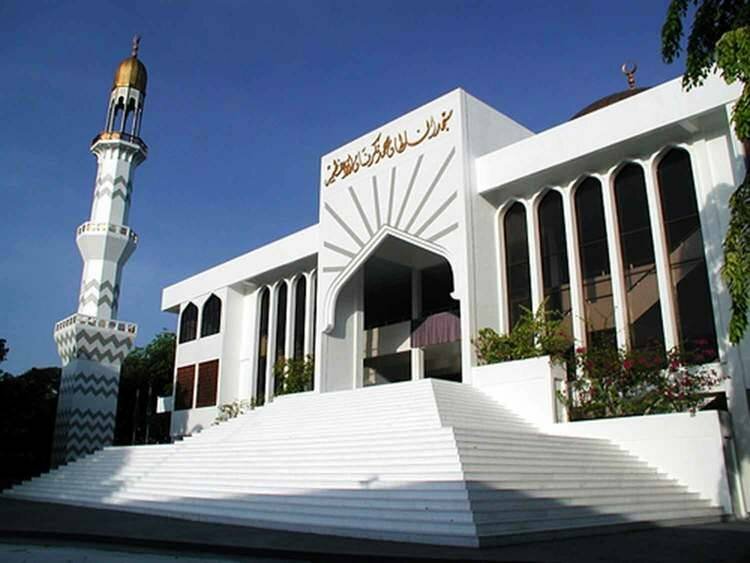 The capital, Male’ City, features tourist attractions and heritage sites such as the Old Friday Mosque, conveniently located a short walk away from Champa Central Hotel. Other sites include the shipwrecks and sunken boats along the popular trade routes, which are now home to colorful coral gardens and a thousand colorful fish. This makes for excellent diving, common in the South Ari Atoll, near Vilamendhoo Island Resort & Spa. 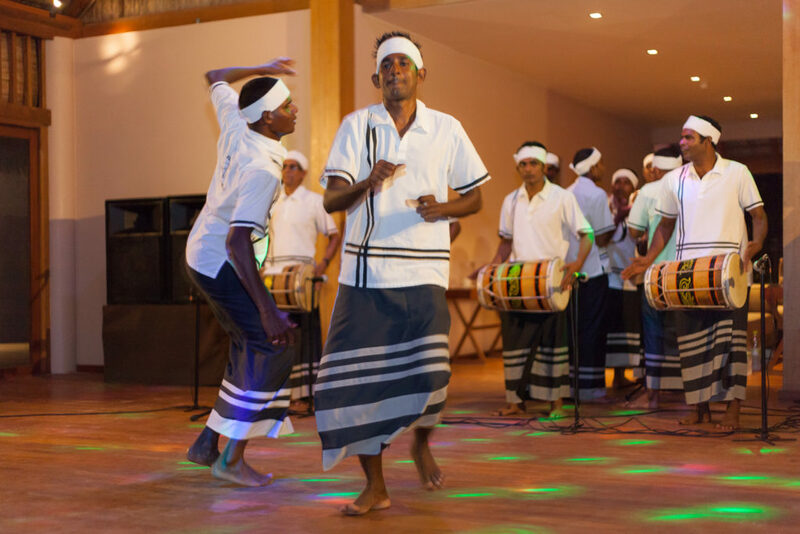 Music and Dance is an important part of the Maldivian heritage and culture, revered as a form of storytelling, celebrating occasions and pure entertainment. Bodu Beru, referring to both the traditional drum used and the cultural dance itself, involves a display of various performances, each unique to the occasion, such as the women’s Bandiya Dance, where they dance with traditional water collecting containers in rhythmic harmony and dance. The Eid Celebration includes traditional parades on the streets of the islands, with giant mythical fish woven out of coconut palm leaves, called Bodumas and Maali. 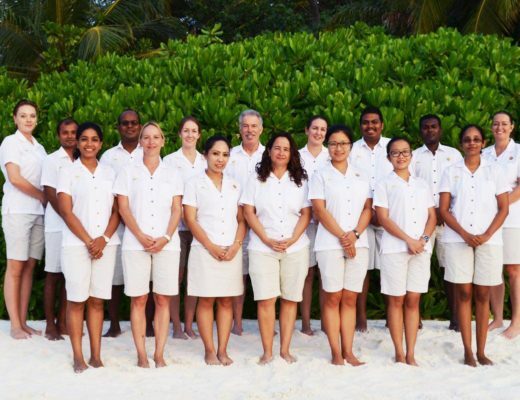 Crown & Champa Resorts offers an authentic experience of the Maldives, with the Islands in their natural and unspoiled beauty, the culture and heritage proudly displayed and practiced by staff, as well as opportunities to learn more about the Maldivian way of life. Visit any of our properties for a warm Bodu Beru welcome; Maldivian architecture-inspired accommodation; a taste of Maldivian Cuisine; and even traditional craft and clothing souvenirs to take home with you after your holiday. 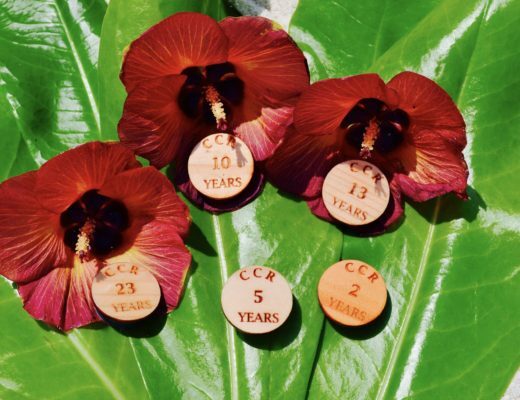 View the Crown & Champa Resorts collection. 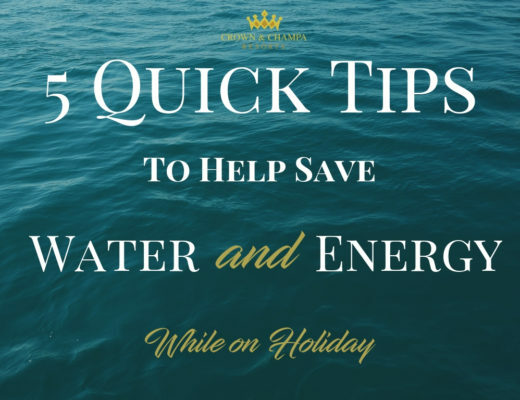 Follow Crown & Champa Resorts! Subscribe to our newsletter to receive latest news and offers! Crown & Champa Resorts © 2017 - All Rights Reserved.